Find out what to do and where to go in the greatest city in the world from the hotel that shares its name — The New Yorker. Start with this. Trattoria Bianca’s Gorgonzola Fondue is one of its signature dishes. Warm garlic bread and melted Gorgonzola cheese make this appetizer perfect to whet your appetite. Although you might be tempted, just be careful not to fill up on this alone - some of Trattoria Bianca’s best dishes are the entrees. This is one of Trattoria Bianca’s unique concoctions - and one of its most delicious. With tender beef short rib, creamy parmesan, ricotta-filled gnocchi, and sweet Venetian spices, the Italian Shepherd’s Pie is one of the heartiest meals on the menu. Another favorite are the broiled sea scallops. Broiled in your choice of sauce (We recommend either the herbed marrow butter or the lemon caper butter), these sea scallops come with romano-crusted tomatoes fresh off the grill. They’re exquisite - and a must for any seafood lover. If you’re looking for something more “traditional Italian,” the spaghetti carbonara at Trattoria Bianca is primo. With thick cuts of slab bacon, shallots, egg, Parmigiano Reggiano cheese, and cream, this is one dish that you’ll want to forget your diet for - and a sure crowd pleaser. 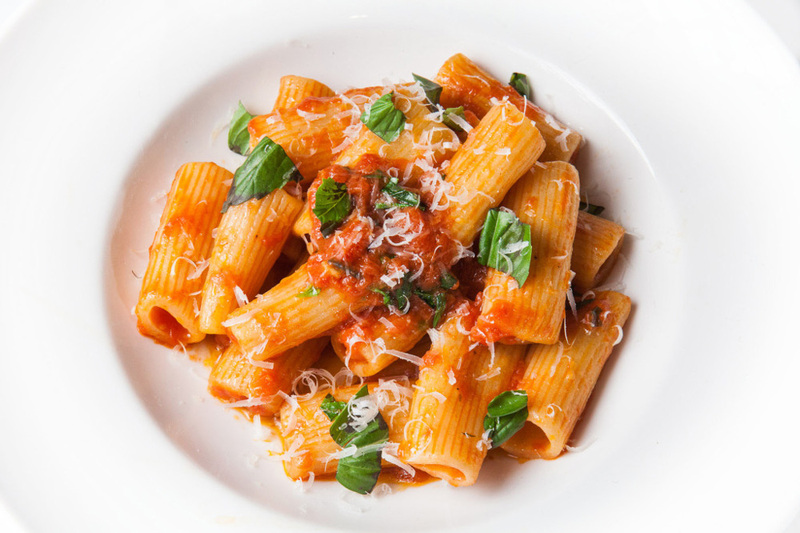 Craving some Italian or just want to grab a quick bite before the game at Madison Square Garden? Then try Trattoria Bianca on the ground level of The New Yorker. Trattoria Bianca is open 7 days a week, 365 days a year, from 11:30 a.m. to 10 p.m. Check out the menu here.